The angled logo previously featured on our website was inspired by the brand stamp on the back of our watch straps. “rigorously simple watches by Ludwig Oechslin” is our new tagline for the web and print. Ludwig Oechslin’s watches for ochs und junior are simple, inside and out. Their simplicity comes from thinking through many considerations — reliability, accuracy, manufacturability, long-term usability. 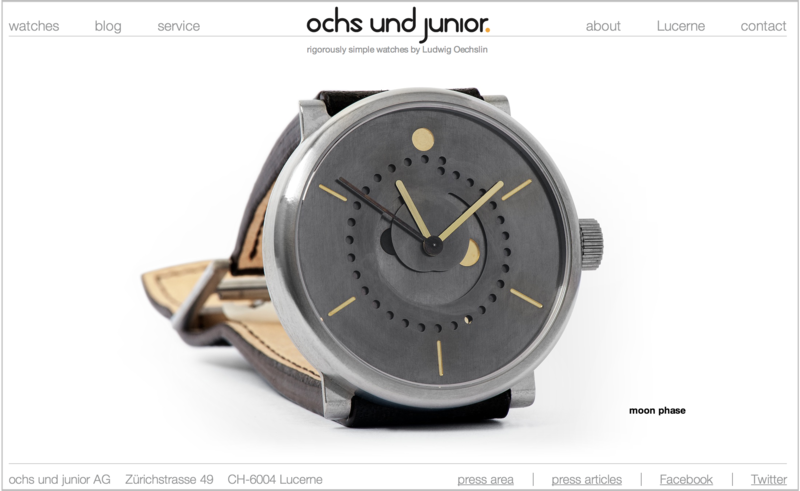 In other words, Ludwig Oechslin’s ochs und junior watches are “rigorously simple”.